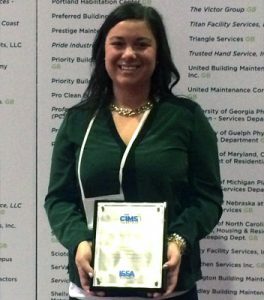 KB Building Services (KB) was awarded the CIMS-GB with Honors certification from the ISSA in 2014. This certification verifies that KB complies with over 150 cleaning industry management standards, including environmentally-friendly, green cleaning procedures. KB also received the honors accreditation for going above and beyond in areas including management commitment, quality systems/processes and service delivery. This certification recognizes KB as in the top 1% of the 70,000+ janitorial companies in the country, and the only janitorial company in Nebraska with the certification. Trust Us, It’s Clean. CIMS stands for Cleaning Industry Management Standards, and applies to management, operations, performance systems and processes. Compliance with the standards demonstrates that KB Building Services is structured to deliver consistent, quality services that are designed to meet the customers’ needs and expectations. 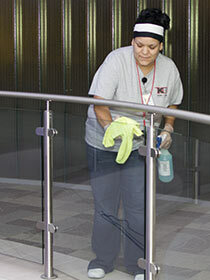 The CIMS certification was created and is awarded from the ISSA, the largest janitorial organization in the country. You can find additional information on ISSA and the CIMS Certification online here. KB Building Services had to meet many qualifications in order to receive the CIMS-GB with Honors accreditation. CIMS certification can also go two steps further with the accreditation, GB & Honors. KB has completed the Green Building (GB) portion of the certification, which verifies that we demonstrate and specialize in green cleaning practices. KB has also been awarded the Honors accreditation, which states that we go above and beyond in creating and adhering to exemplary processes and procedures. In order to meet all of the qualifications, KB was required to submit documentation relating to each individual requirement for each of the five areas of management, in addition to the green cleaning section. Upon successful completion and approval of the documentation, an independent, accredited assessor visited KB, as well as multiple KB accounts. It is the assessor’s role to review the management and operations systems, and verify compliance with the principles and requirements of CIMS. After the on-site visit, which included meetings with multiple KB customers and employees, the assessor awards the certification and informs the ISSA. The accreditation is held for two years, and then re-certification is required. KB completed the first re-certification in 2016 and passed with flying colors. The U.S. Green Building Council (USGBC) offers an accreditation for companies called Leadership in Energy and Environmental Design, or LEED for short. The LEED accreditation is specific to either newly constructed buildings (LEED-NC) or existing buildings (LEED-EB) that have put an emphasis on tailoring their facilities to meet environmental standards. The criteria required in the Green Building (GB) section of CIMS-GB is directly related to some of the requirements for LEED. The CIMS-GB certification demonstrates KB’s capability to assist customers in achieving LEED points, and offers customers assurance that KB can partner with them in the LEED process. 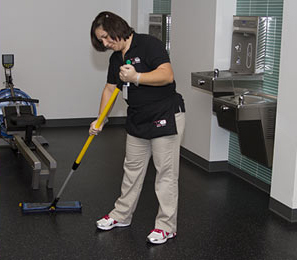 It was recently announced that any facility seeking LEED-EB will automatically qualify for the green cleaning associated points if a CIMS-GB with Honors janitorial company is utilized for janitorial services. KB’s Chief Xperience Officer (CXO) has the LEED Green Associate credential, which is defined as a person who demonstrates a solid, current understanding of green building principles and practices, as well as a clear commitment to professional growth in the field. In order to achieve this credential, Channing Johnson, the CXO, was required to attend classroom-based training courses and successfully pass a two-hour computer-based exam comprised of 100 randomly delivered multiple-choice questions relating to each of the LEED requirements. This credential is renewed every two years through continuous education requirements and direct involvement in LEED associated projects.